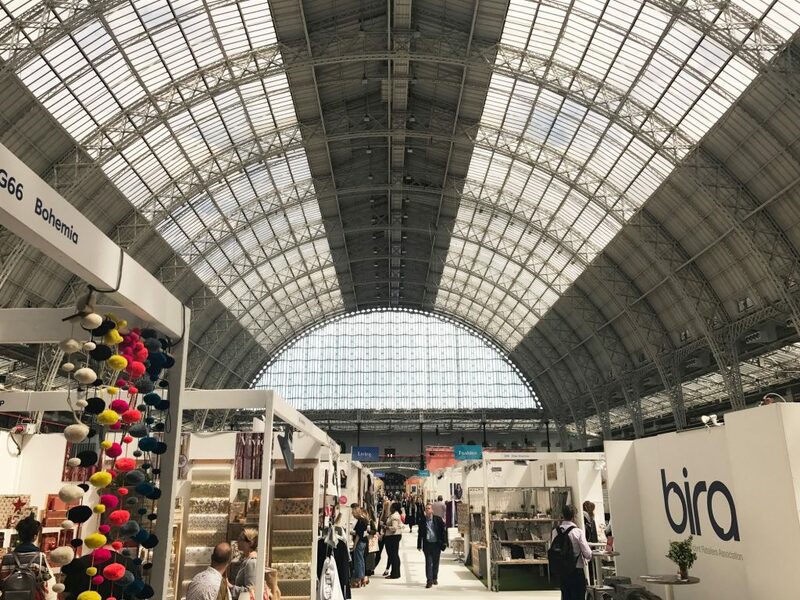 Olympia was home to Pulse London for three days in May, with hundreds of traders exhibiting their innovative and truly creative wares. From meticulously handcrafted earrings to middle eastern perfumes, each stand was completely different to it’s next door neighbour. Being set in such an impressive building meant everywhere you looked, you were given a pretty decent view. Glass ceiling filled every stall with natural light. While all stalls were interesting, some really caught our eye for a number of reasons. There were many examples of each of the following, but we included those we had pictures of and those that stuck in our minds the most. 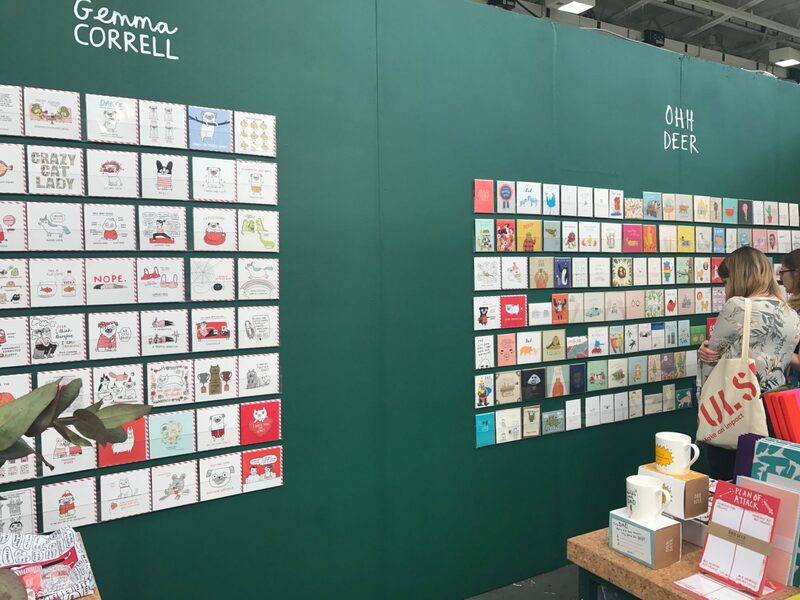 Search the #Pulse17 hashtag on Instagram and Twitter for plenty more inspo! 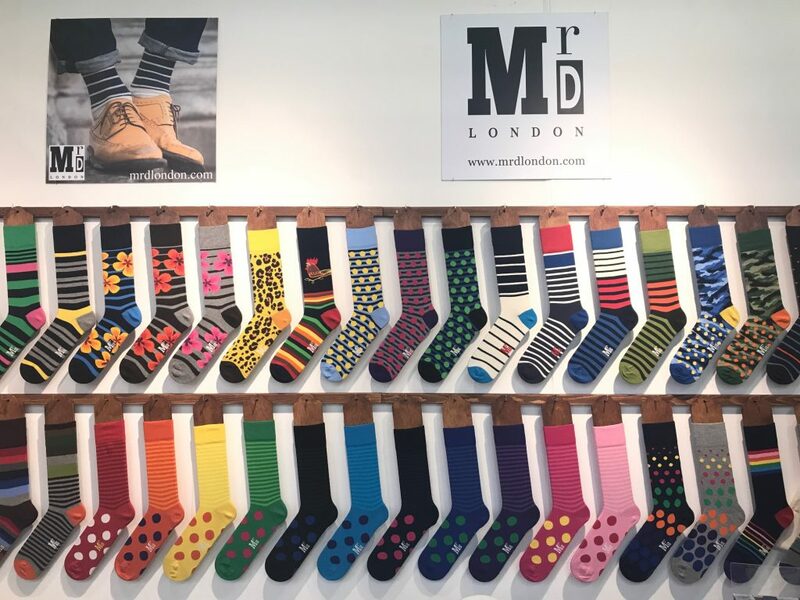 Mr D. London was the perfect stall for any lover of socks and colour. With patterns a-plenty, their enticingly neat array got many slowing down to a halt at their stall. Lotus Feet produce ethical jewellery from the Philippines, and support the Go Green environmental scheme. 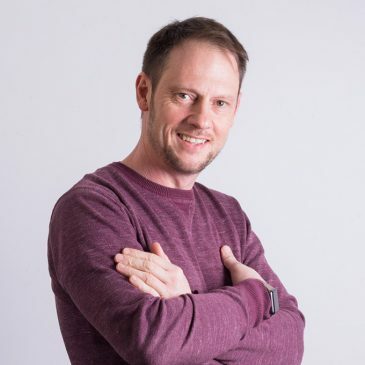 A brand is not just its products and branding, it’s also the process behind it, so Lotus Feet get a huge tick in that department too. 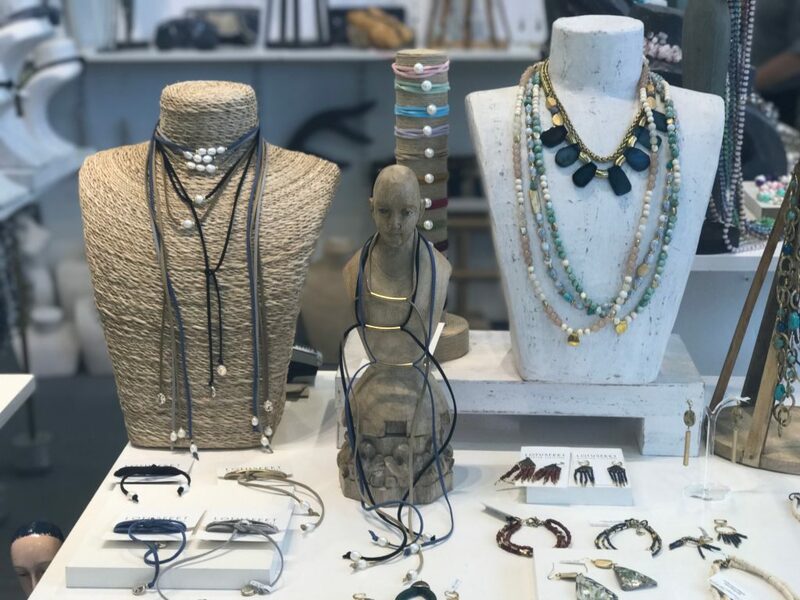 Their textured mannequins used to display their jewellery were eye-catching and, though more interesting than your average jewellery stand, didn’t take away from the products themselves. 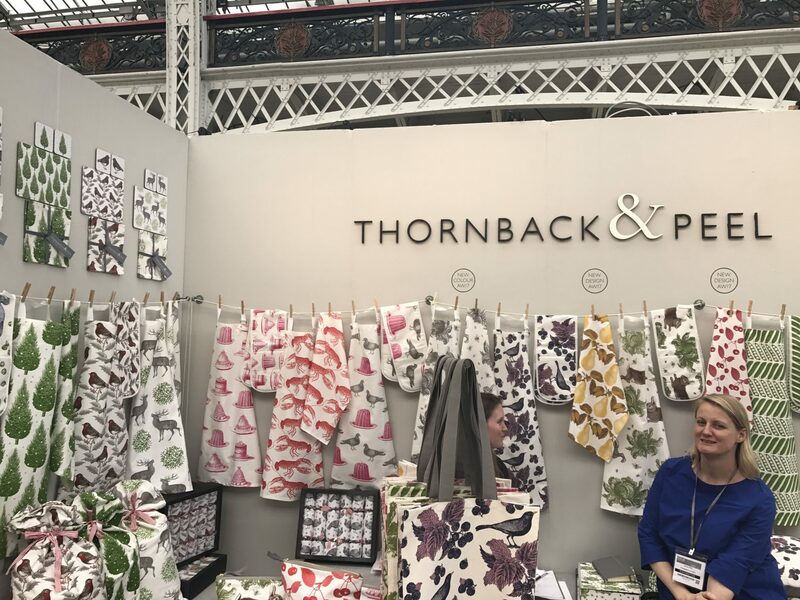 Thornback and Peel‘s screen-printed wares would brighten up any room, and certainly brightened up Olympia. Though presented subtly, they cleverly used clothes pegs and a washing line to hang up their tea-towels, aprons, and other patterned fabrics. 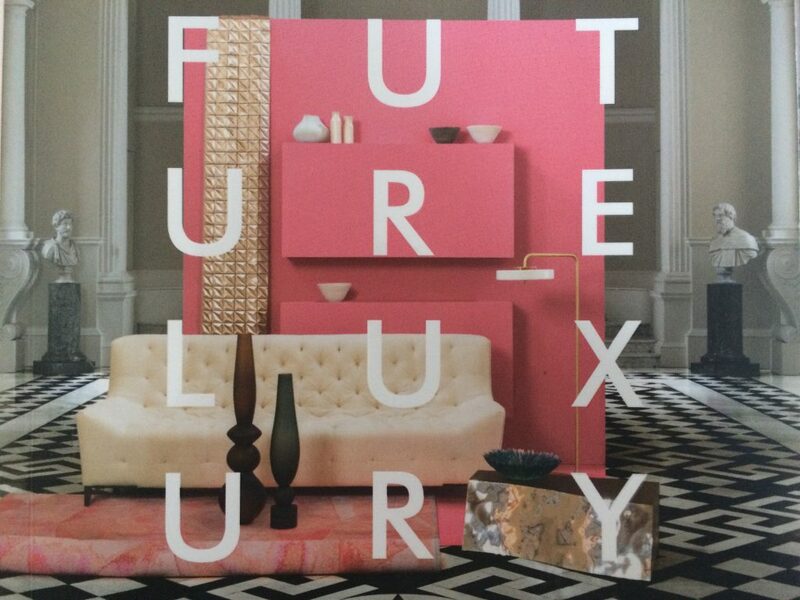 The plain wall showcased the products well – there was nothing taking away from them. All in all, a lovely and homely stall! 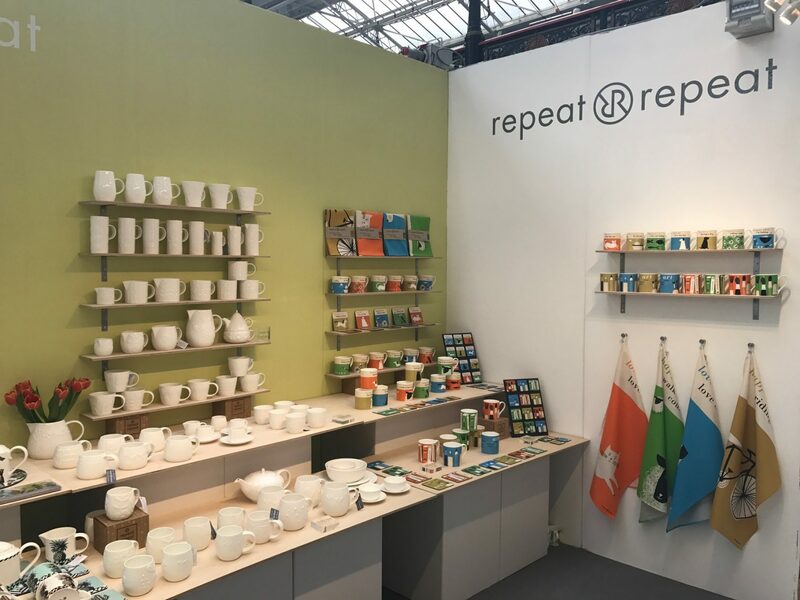 Repeat Repeat had a mix of white and brightly coloured fabric and bone china products, both equally interesting, with surface textures and colours varying between product lines. We liked the feature wall in their stand, which stood out against the white china and enhanced the brighter products against the white wall even further. By having such solid brand colours, Repeat Repeat were able to stand out from the crowd. Ohh Deer work with fabulously talented illustrators, like Gemma Correll and John Bond – we can’t get enough of their card designs. Their grid of great designed cards shone against the bottle green backdrop. Their front tables standing alone, away from the wall, made the stall more explorable, allowing visitors to manoeuvre round to see all the products up close. 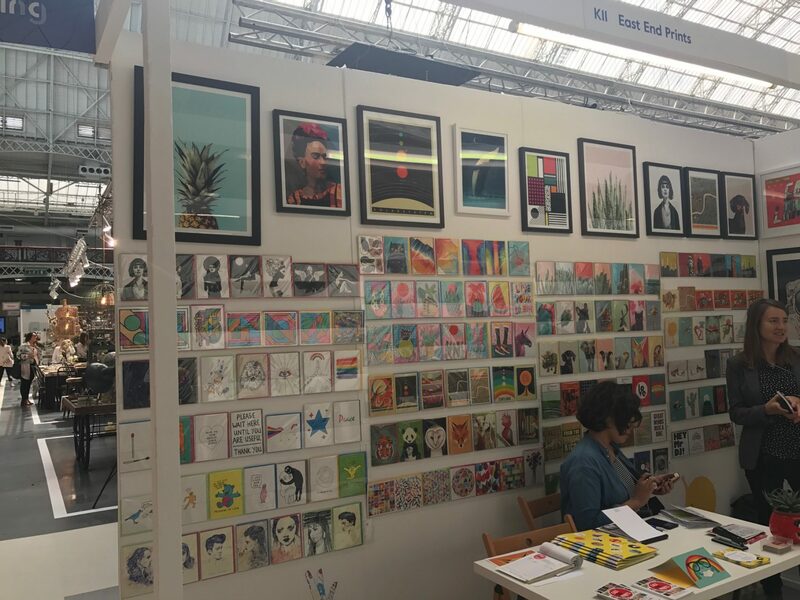 We’ve been following East End Prints on Twitter for a good while now, so it was great when we found out they’d be at Pulse too! Their jam packed stall was buzzing with activity – the neatly presented products were on both walls and tables, giving you a lot to admire. 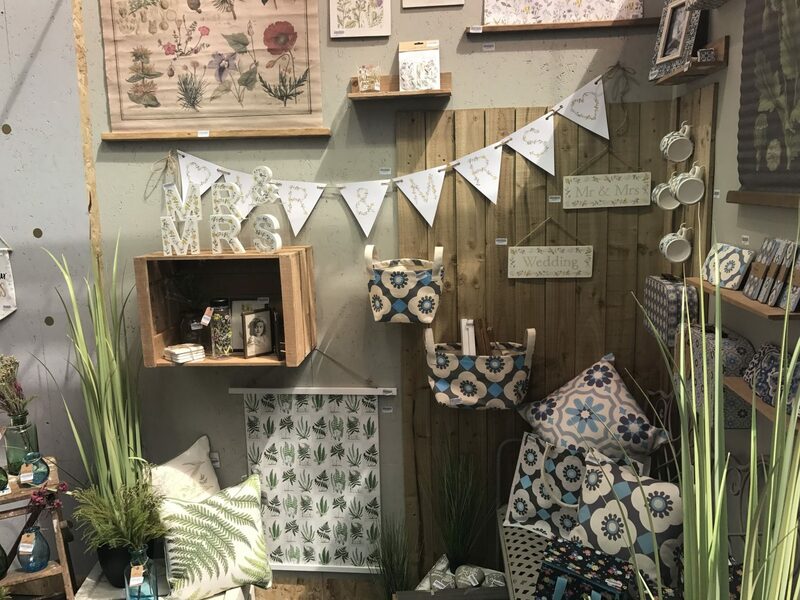 Sass and Belle‘s gift-orientated brand lends itself wonderfully to weddings and birthdays, and their botanical, homemade and chic wedding corner was totally on trend. We loved the homely feel this stall had, and how it was set up like a room, not just showcasing the products, but creating a vision of how it could work on the big day. 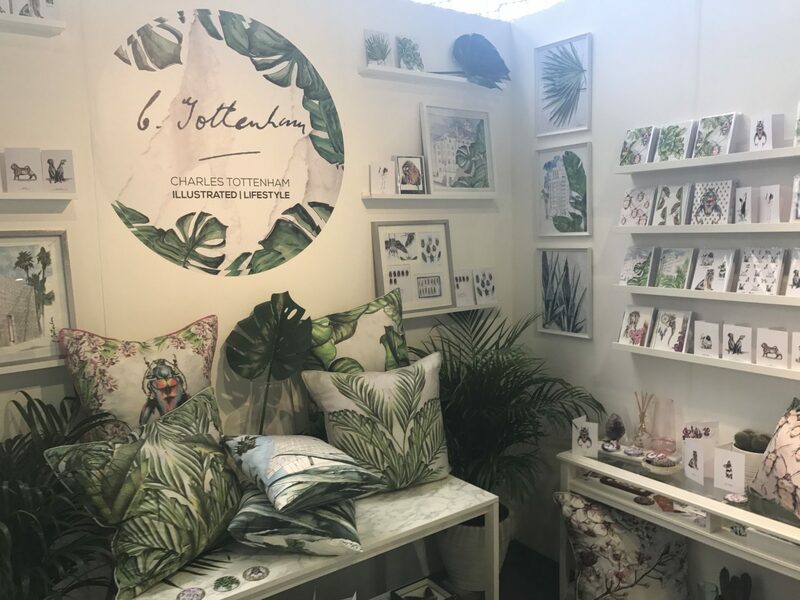 Charles Tottenham‘s product range is so on trend and follows the same botanical theme, so that every product can sit side by side and compliment its neighbour. We loved the botanical stand and meeting the illustrator was a real bonus! Pulse 17 was a blast! It was lovely to see so much brilliant design and care put into each product. The whole building was a treasure trove of makers showcasing their creations; it was great to have this diverse community under one roof. 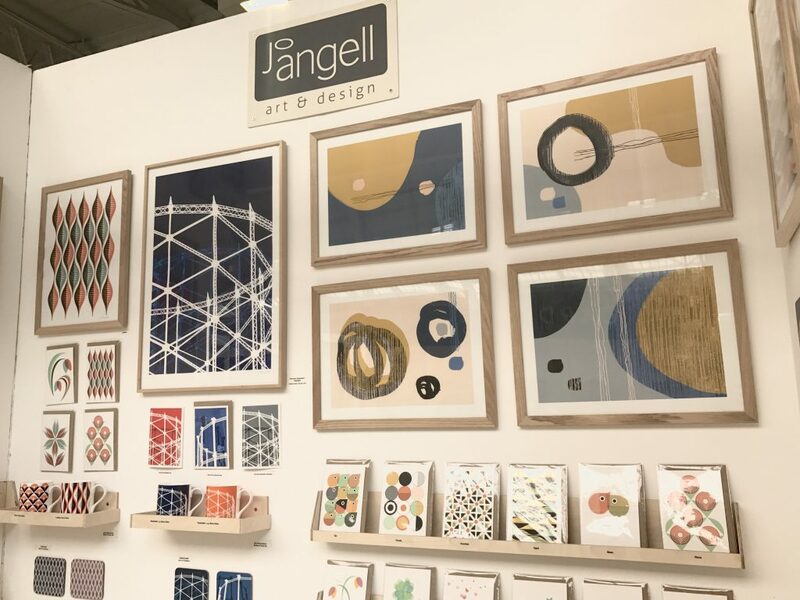 As we work in digital design, we don’t get to see physical shop floor as much as we’d like, so it was great to experience visual merchandising in person. 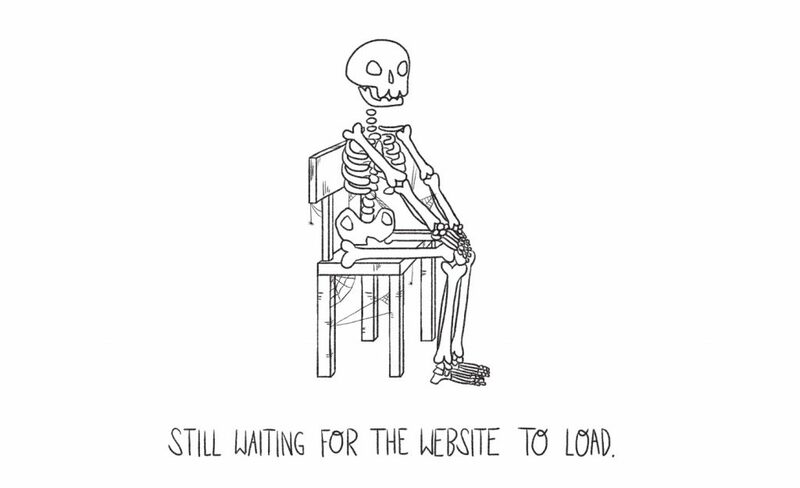 It gave us a lot of inspiration to see how we can reflect some of these aspects in our web designs.